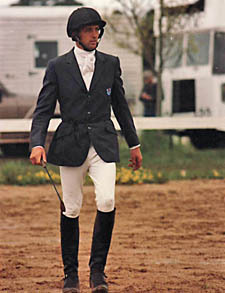 Bill Levett is a well known face on the eventing circuit, having competed in the UK for more than 20 years. The only son of retired school teachers he was put in the saddle at an early age. 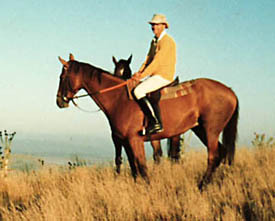 Although neither of his parents rode, his father had a passion for horses and Bill, along with his four sisters, was encouraged to try his hand at riding. A local station owner had seen his potential in the saddle, and asked Bill to come and help him break the station horses. 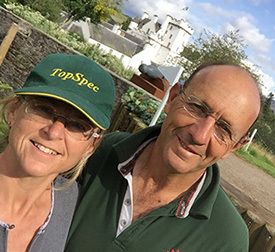 After a year he moved on to work for Neale Lavis – Neale, in his day, was on the Australian eventing team, winning Olympic individual silver and team gold as well as finishing third at Badminton (see video). 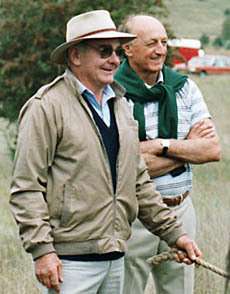 When Bill arrived at Neale’s there was a big drought in Australia, so he spent the first six months working with cattle as a drover – although he really went to help him as a strapper with his racehorses. Then it was on to Agricultural College in Victoria to do a two year Stud Management course. A couple of jobs followed and one day Bill found himself watching the Eventing at the Los Angeles Olympics on the television. Although at the time not in a position to do anything about it, he decided that he wanted to ‘have a go’. Returning to Neale’s yard he worked his way up to become stud manager, looking after two or three stallions and around 150 mares, and finally had the opportunity to event. 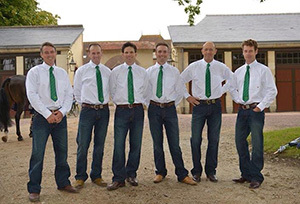 None of Neale’s children were interested in competing, so Neale focused on Bill, lending him his saddle, his shirts, boots, trailer – everything, as well as training him. Neale also gave Bill the horse that he eventually came to England with, Mirabooka NJ (the NJ at the end of all Bill and Jenny’s own horses’ names is in recognition of Neale and everything he did for Bill – NJ is his nick name). In 1988 Bill won a Range Rover Scholarship to go to Gatcombe Park and train with Mark Phillips and took a year off from Neale’s yard. Returning to Australia it was several years before he was back in the UK, selected with Mirabooka NJ for The Hague WEG squad. A variety of equine jobs led Bill to Gloucestershire and he knew that he was ‘home’. 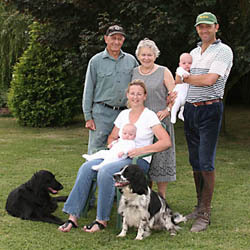 He met Jenny in 2001 during the foot and mouth outbreak when eventing was on hold they had been ‘set up’ by a mutual friend; within a year they were married and in 2005 Joshua and Ursula were born in fairly dramatic style. 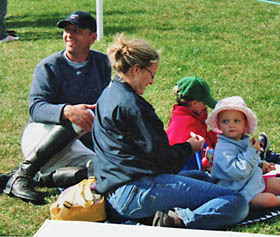 Bill and Josh with their eventing and Urssie with her vaulting. Bill finally achieved his lifetime ambition of representing Australia at the 2014 World Equestrian Games, in Normandy, France. Since then he has been lucky enough to be named travelling reserve for the Olympics in Rio 2016, and represent Australia at the 2018 World Equestrian Games in Tryon, USA. He has been an anchor competitor in the Event Rider Masters which is revolutionising eventing and continues to enjoy producing horses up the levels to compete at the top of the sport.